This patient presented with a fairly toned physique, however had difficulty obtaining a deep sculpted "six pack". Dr Lanzer performed Vaser Hi Definition Liposculpture on this patient. He used the patients natural shape and enhanced the muscle underneath. Many people have specific problem areas they want to tackle; however, the problem areas can be rather small and do not really qualify for normal liposuction surgery. Fortunately, there are other cosmetic surgery techniques that are less invasive and can tackle these problems perfectly. A good example of such a technique is Vaser liposuction, a less invasive liposuction procedure that can tackle minor problem areas. Read on to discover some examples and more information about Vaser liposuction. How Did Vaser Liposuction Work for This Patient? The patient had a physique that was quite toned already; however, he was still having trouble getting the deep sculpted six pack he wanted. 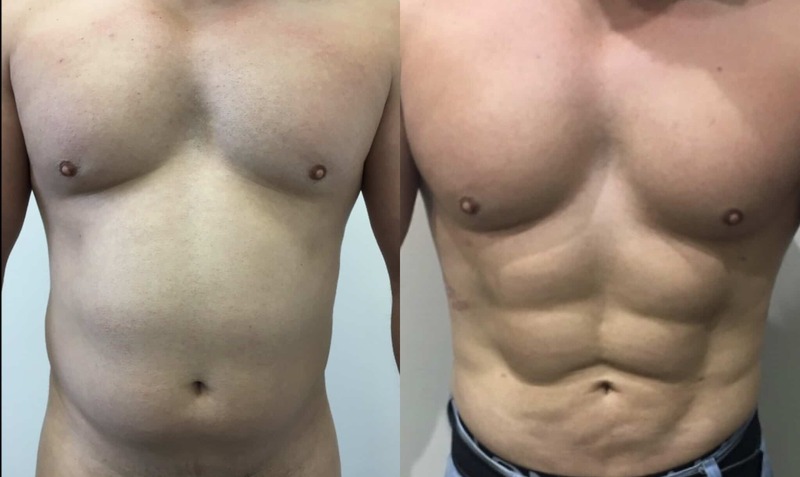 In order to give the patient the six pack he wanted to obtain, Dr Lanzer executed the Vaser liposuction procedure, giving the patient a natural abdomen while enhancing the muscle underneath. 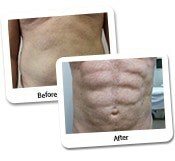 Can You Tell Me More About Vaser Liposuction? Vaser liposuction is a minor procedure meant to contour and shape the body. The procedure can be executed under a local or a general anaesthetic. Naturally, the overall recovery time can be influenced by the type of anaesthetic used for the procedure. The Vaser procedure is executed with ultrasound technology, which breaks down the fat cells in the targeted area. Once the fat cells have been broken down, the fat is removed via gentle suction. The procedure is not only suitable for men, because women can also take advantage of this procedure. 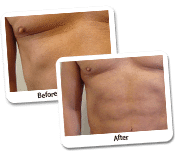 Many people tend to go for Vaser nowadays instead of going for the more invasive treatments. The reason for that is that Vaser liposuction leaves surrounding tissues without any damage. In addition to that, it seriously reduces the downtime patients will have after the liposuction. What Areas of the Body Can Benefit from Vaser? Vaser can be used on many parts of the body, including the chin, chest, hips, inner thighs, abdomen, buttocks, outer thighs, upper back and lower back. Before patients can choose this procedure, they will be thoroughly evaluated by the medical staff and Dr Lanzer. If you are eligible for the procedure, you will be able to benefit from a more toned body. Am I A Good Candidate for Vaser? There are a number of indicators that can determine if you are a good candidate for the Vaser treatment, but these will need to be evaluated by the surgeon to ensure that the procedure will have the desired effect for you. 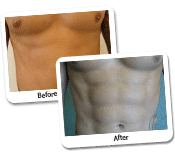 Vaser is usually implemented for patients who want to improve their overall body contour and shape. The patient may be struggling with a small problem area, where a small amount of excess fat does not seem to want to shift. Thanks to the Vaser procedure, the patient will be able to get the athletic look they are after. How Long Do I Need to Recover After Vaser? The recovery time after Vaser liposuction is considerably less than certain other procedures. Most patients can leave the clinic immediately after the procedure. The patient can resume their normal activities right away; however, it is advised not to do any heavy workouts until a few weeks after the procedure. Patients can expect slight bruising and swelling after the procedure, although this usually goes down very quickly. If you have any questions and concerns about aftercare, do not hesitate to discuss them with Dr Lanzer or his medical team. What Are All the Benefits of Vaser Liposuction? There are a number of benefits connected to Vaser, especially when you start comparing this procedure with traditional liposuction. First of all, Vaser liposuction does not require you to be fully under, so there is no need for a general anaesthetic. Instead, the surgeon will use a local anaesthetic, which is connected with a lot less risks. Vaser is also less invasive for other reasons. Not only will you get a local anaesthetic instead of general anaesthetic, there is also no damage to surrounding body tissues during this procedure and this makes a world of difference for the recovery time. 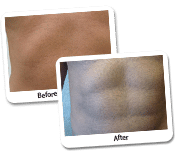 Compared to traditional liposuction, Vaser will also cause less scarring and bruising. In addition to that, you will only experience a minimum amount of bruising and discomfort, so you will recover quite quickly after the procedure. An additional advantage of Vaser is the fact that it has the ability to stimulate collagen production. As you may know already, a good collagen production will lead to tighter skin, which means that Vaser has the potential to tackle more than one problem at once. Why Should I Choose Dr Lanzer for a Vaser Procedure? Dr Lanzer was actually one of the first Australian cosmetic surgeons to implement Vaser liposuction. His clinic is also state-of-the-art and includes Australia’s first fat bank, which can be used for fat grafting and anti-ageing treatments. When you choose Dr Lanzer’s clinic, you can be sure you will be in good hands. Not only can you count on the 30 years of experience Dr Lanzer has, you can also count on the professional medical staff, who will stand by you every step of the way. Before you undergo any type of procedure, you will undergo a thorough physical examination to ensure that you are a good candidate for the procedure. In addition to that, you will also be able to talk to Dr Lanzer and the medical staff, so all your questions will be answered before you come in for the procedure itself. Of course, patients can also count on good aftercare when they choose the Dr Lanzer clinic. All patients receive a phone number, which they can use when they have any concerns or questions. You will also be monitored and evaluated after the procedure, so you will be in safe hands at the Dr Lanzer clinic. How Can I Contact You with Questions About Vaser? 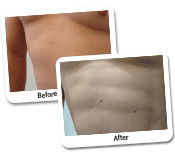 Would you like to know a little more about Vaser liposuction? Or do you want to book an appointment to see if you are a good candidate for the Vaser procedure? Get in touch with us via telephone, email, or the website form. Vaser liposuction is a surgical liposuction procedure aimed at creating a more athletic appearance for the patient in question. The procedure can be obtained by both men and women and tackle persistent fat deposits that had a negative impact on the general physique of the patient. Most patients who choose Vaser liposuction at the Dr Lanzer Clinic have already tried losing persistent fats through diet and exercise but have not seen the changes they want. 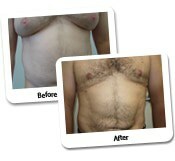 Therefore, Vaser liposuction could be the next step for these patients to still obtain the physique they worked for. On the Dr Lanzer website, patients can find numerous before and after photographs depicting the results obtained from a Vaser liposuction procedure at the Dr Lanzer Clinic. Even though results obtained from Vaser liposuction are different from every patient, the before and after photographs on the Dr Lanzer website can give patients some insight into the results that could be obtained from the treatment. 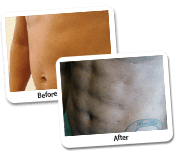 It shows patients how a cosmetic surgeon can use Vaser liposuction to sculpt a six pack, or simply to give a patient a more toned physique in general. The before and after photographs also show how persistent fats could be removed and how they impact the overall physique of the patient. Of course, to determine the results that could be obtained by you, it is best to speak about your wishes with a cosmetic surgeon.